In the top of the 9th inning of Game 5 of the 2015 World Series, the New York Mets looked like they had the game in the bag. Up 2-0, Mets starter Matt Harvey gave up two runs and suddenly the game was tied. Inning after inning went by with no score until the top of the 12th when Salvador Perez hit a single. Jarrod Dyson was sent in to pinch run. Christian Colon came up to pinch hit and Dyson promptly stole second. Colon hit a smash which knock in the Royals game and World Series winning run. 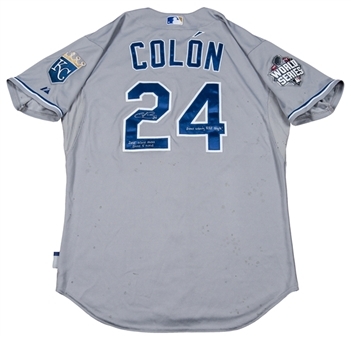 This was the jersey Colon wore when he hit the single that brought the World Championship to Kansas City. 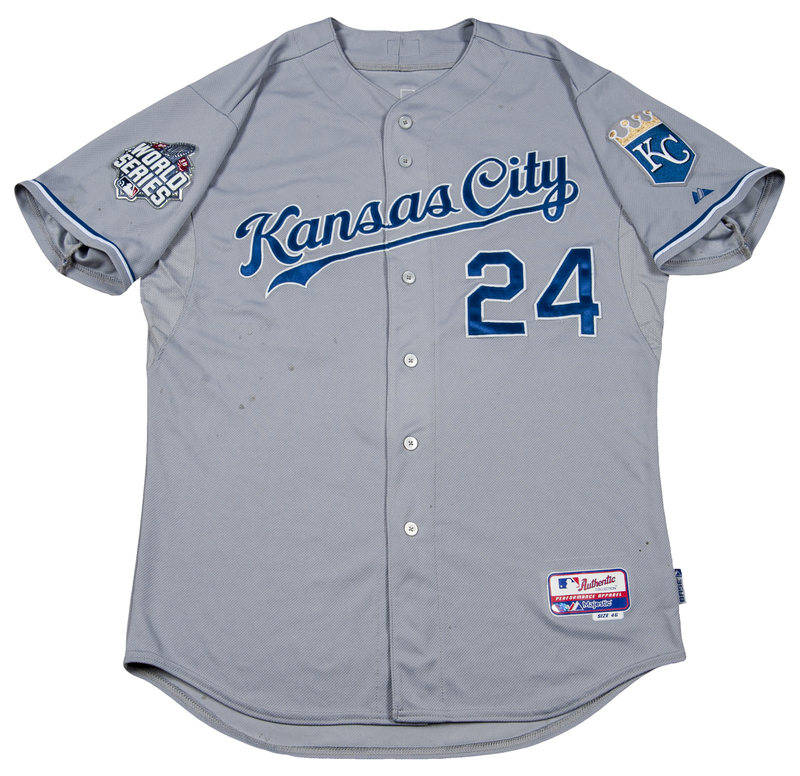 The Royals road jersey has "Kansas City" above Colon's number "24" in blue and white script tackle twill. 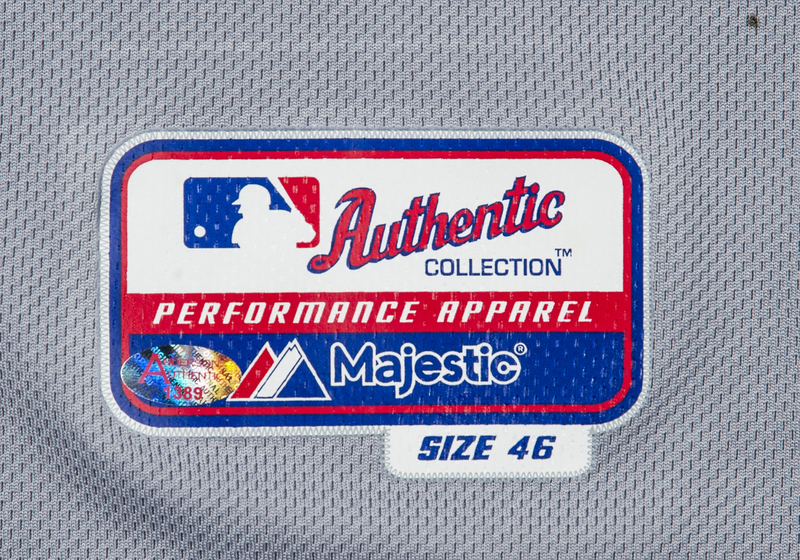 The lower left front tail has the Majestic "Size 46" tagging. 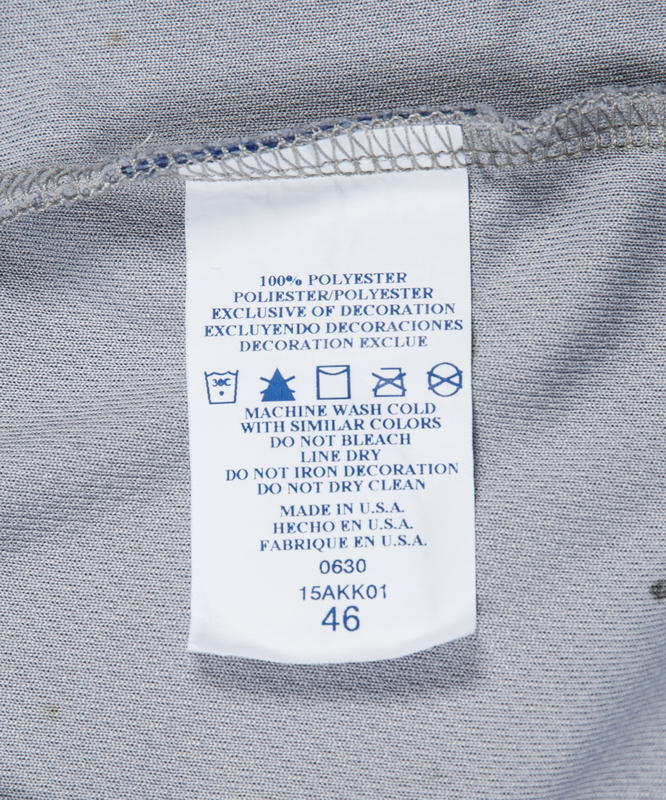 Each sleeve end has blue and white trim. 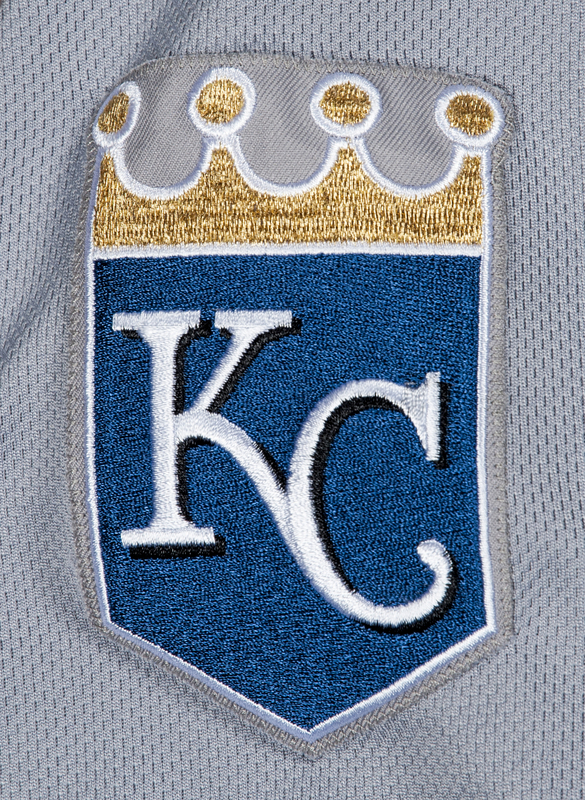 The left sleeve has the Royals "KC" shield logo patch and the right sleeve has the special 2015 World Series patch. 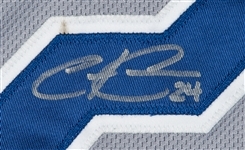 The back of the jersey has "COLON" and his number "24" in blue and white tackle twill. 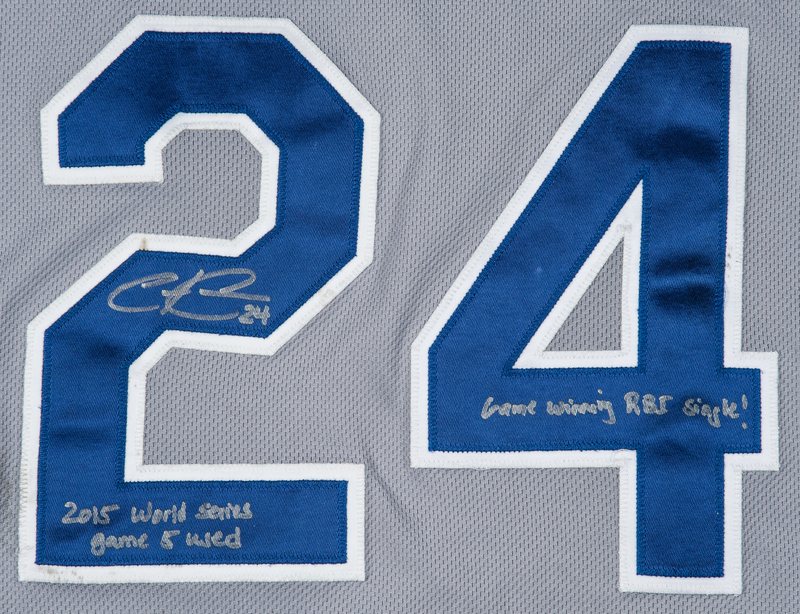 Best of all Colon has signed the "2" in silver pen adding "2015 World Series Game 5 Used". 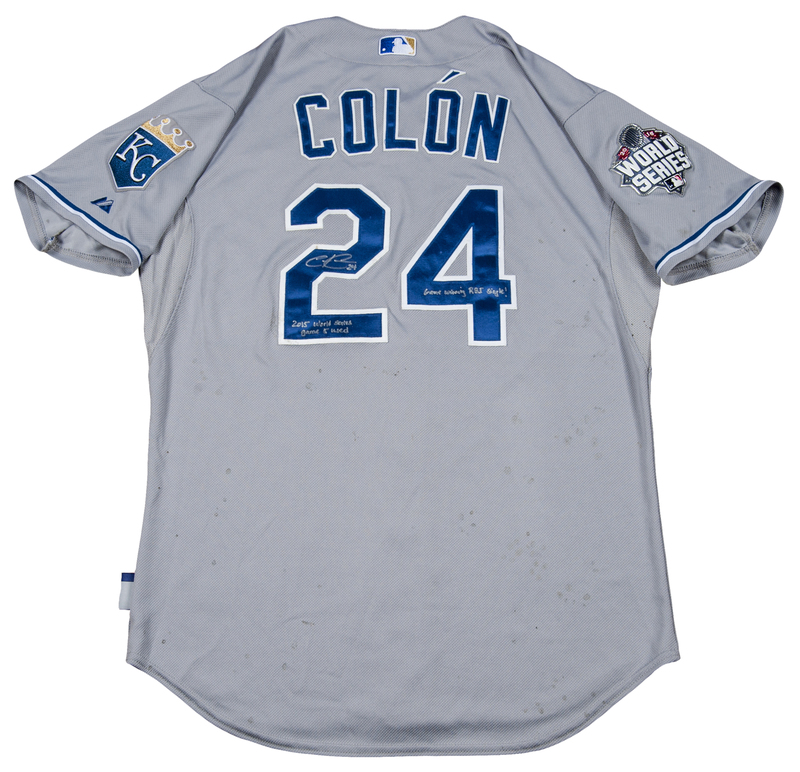 Colon has proudly inscribed the "4" with "Game Winning RBI Single!" 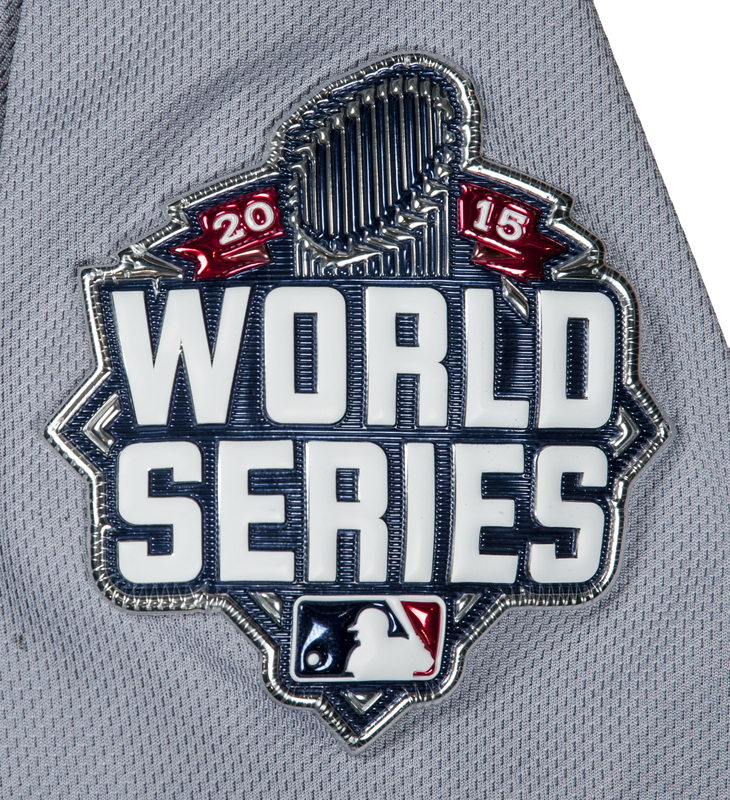 The jersey shows great game use that can be expected from a hard-fought World Series game. There are many turf marks and pine tar stains throughout, along with random loose threads on the lettering - all-in-all a great gamer! 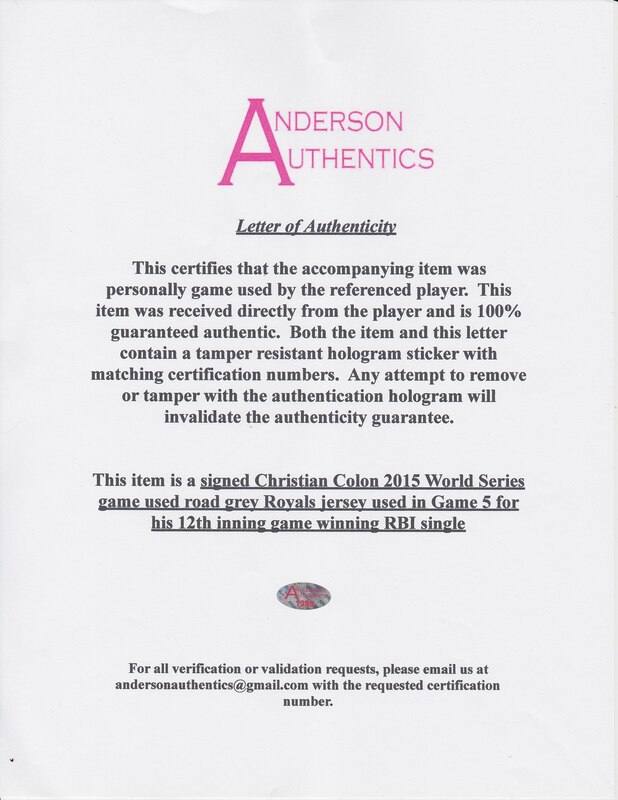 Letter of Authenticity from Anderson Authentics. Auction closed on Sunday, January 31, 2016.